The Far South Coast Dressage Association was founded in 1987 by a group of local riders who were interested in dressage and wanted to learn more about the art of riding. This prompted the first Protocol Day which proved very popular and led to our Club’s first dressage competition. The Club has continued to grow over the years and now offers three (3) competition days beginning in April each year and culminating with the Club’s Championship Weekend held in September. There are Protocol Days, Training Events and Workshops held throughout the year and a Dressage Competition is also held in conjunction with the Cobargo Spring Show. If you would like to join the FSCDA please read more on the “Club Info” page and sign up on our online Membership Form. The Club’s first Competition day for 2019 was held on Sunday the 21 April at the Bemboka Showgrounds. The tests offered were the Preparatory A & E, Preliminary to Medium A’s and B’s plus Freestyles. The Preparatory D was also be available as a non-competitive test for the Club’s Annual High Point Score and for the 4 Club Challenge. What a wonderful start to our 2019 season. The weather Gods delivered a perfect Easter Sunday. Click on the link below to download the results. The second round of inaugural South East NSW 4 Club Dressage Challenge was also held at this event. It is a competition for all members of Bemboka Show Society, Eurobodalla Dressage Association, Far South Coast Dressage Association and Monaro Equestrian Association. 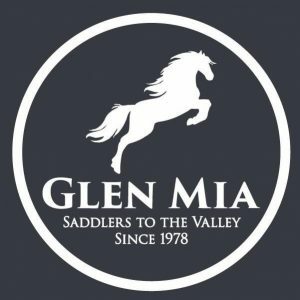 The aim of the challenge is to encourage riders to travel to the other three Clubs increasing competition and providing opportunities to met with other dressage enthusiasts. It is also hoped to facilitate the mentoring of local judges with higher level judges traveling to officiate at the designated events. Points will be allocated for placings at each level with an award and prizes at the conclusion of the year to the highest aggregate scorer at each level. The Challenge tests will be the Preparatory D and the Preliminary to Medium B’s. The updated Point Score will be available shortly. The FSCDA held a Dressage Protocol and Training weekend as the first event for 2019 season on the 23-24 March at the Cobargo Showgrounds. The Club were extremely lucky to secure the services of Sue Cunningham, a highly accredited Equestrian Australia A Level Judge, Judge Educator, Judge Mentor and Coach. Sue traveled from Moss Vale to run Protocol sessions on both days as well as a Workshop on the Saturday night. The Workshop reviewed the changes to the Dressage rules for 2019 plus introduced the new tests. The second arena was available for Familiarisation and Training. All riders, participants and Workshop attendees were highly delighted with Sue’s knowledge, skills and generosity in sharing her insights and experience. Sue proved so popular arrangements are being made for further training and judging opportunities with Sue later in the year. It was lovely to see many new riders to the Club on the weekend. Some combinations traveled from as far away as Mallacoota and Jindabyne to participate.